When people are thinking about getting a tattoo, some know exactly what they want, while others like to see some ideas before settling on one tattoo design. At Classic 13 Tattoo, we love discussing sources of inspiration for your tattoo design and to help you understand how we create the final design we will use for your tattoo. 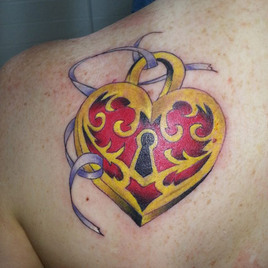 Some people think they need to have the final tattoo design in hand when they walk in our doors. This isn’t true! Remember, our tattoo artists are truly accomplished artists, and drawing tattoos is what they do best other than their tattooing work! You can certainly leave the artwork to our professionals. We spend all day thinking up awesome tattoo designs, we understand how to create and execute a tattoo design that looks good on skin (which is different from any other medium), and we are good at what we do. We’ve done thousands of tattoos, we know what will work best and fit your vision. Having said that, we certainly want you to bring us your ideas and we want to make sure the tattoo design is exactly what you want.